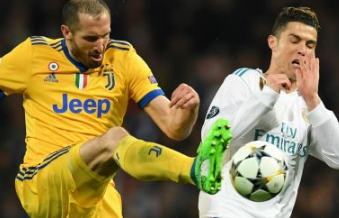 Home / Unlabelled / Chiellini picks up UEFA: "Bayern last year, this year Juventus ..."
Chiellini picks up UEFA: "Bayern last year, this year Juventus ..."
Giorgio Chiellini says Juventus should not be surprised by the dramatic departure from the Champions League against Real Madrid, similar to the Bayern Munich experience last year. For the Real Madrid challenge - Juventus will be talked about for the next few days due to the many episodes he had in the last 5 minutes of the challenge. When it seemed as if the match would go into extra time as Juve had overturned the first match disadvantage, Medhi Benatia pushed Lucas Vazquez inside the area and the referee awarded the penalty. Juventus players go mad at the decision by aggressively protesting Michael Oliver, who shortly comes out with red card Gigi Buffon. "It was a football match and the referee did not have to become a protagonist," Chiellini said. "At the head of the referees is an Italianman and says things are going well in the Champions League, that's surprising." "Anyway, we should not be surprised a lot because we saw what happened last year with Bayern Munich, now was the turn for Juventus," added Juve goalkeeper.